Jocelyne is content with her life, comfortable with her rounded body and even though they’ve been through some tough times, is happy with her husband. She runs a small sewing shop in a little French town and due to the lack of customers ends up spending a significant amount of time on her sewing blog, watching its popularity increase with every passing day. One lunchtime she chats with the twin sisters that run the beauty salon next door as they pick their lottery numbers, a habit that verges on addiction. As they discuss what they would do with the money if they won, they eventually convince Jocelyne to buy a ticket. When she hears the winner is a local woman, she knows it her but instead of filling her with joy, it fills her with panic. She goes and collects her cheque in secret and is warned that her amazing good fortune comes with a price. People will change, her loved ones will see her differently, her children will now see a parent with money instead of their mother and she’s warned divorces are common after big wins. She knows all the things her husband would want and she makes lists range from her largest spends to what she really needs. Things are going so well though, her husband is more attentive than ever, the blog is taking off and even the shop is busy so she decides not to cash the cheque but before she knows it the choice is out of her hands. The synopsis of this novel may sound slightly twee and you may be mistaken that this would fall into the category of chic-lit but you’d be very wrong. 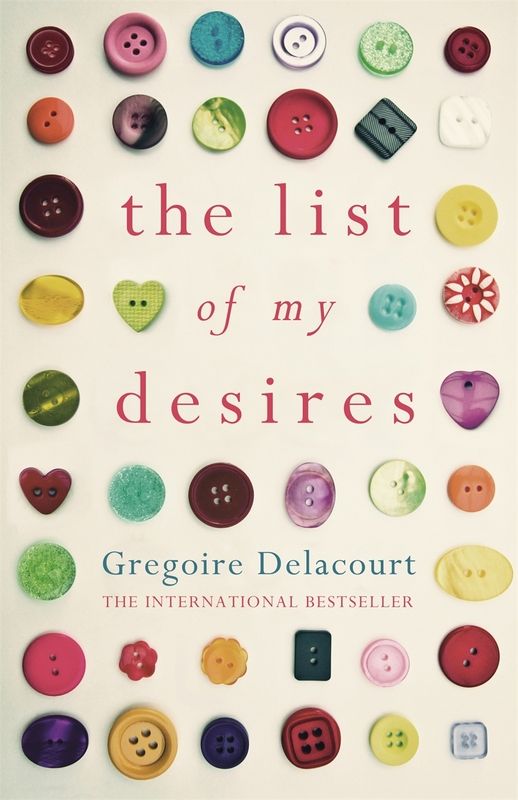 The List of my Desires is a beautifully literary novel that captures both a woman in turmoil and a woman scorned. Jocelyn has put energy into accepting her life, we can all dream of more but she’s made the decision to accept it. Knowing her husband is not as accepting she fears her life-changing just when she’s come to understand it and when it does, it breaks her. Poignant, articulate and touching, The List of my Desires is a great little book that is perfect to be devoured in one sitting.